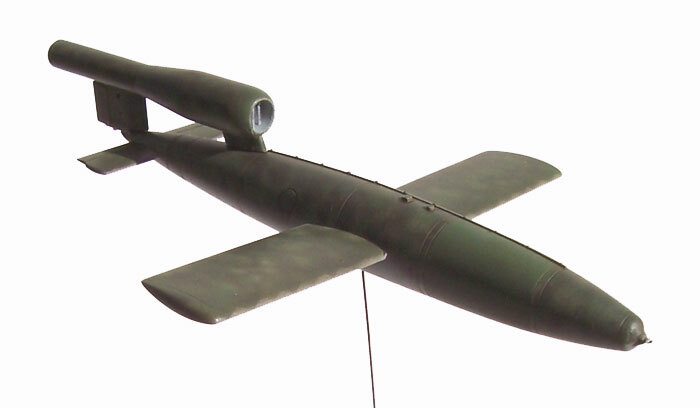 The V-1 needs no introduction so I’ll keep this short and sweet. A mate of mine was building a Tamiya 1/48 scale Fi 103 and planned to claim it as part of his year’s model production. I threatened to retaliate with a 1 1/72 500 GP Bomb or a Sidewinder missile as his claim seemed pretty pathetic given that there isn’t much to a V-1. 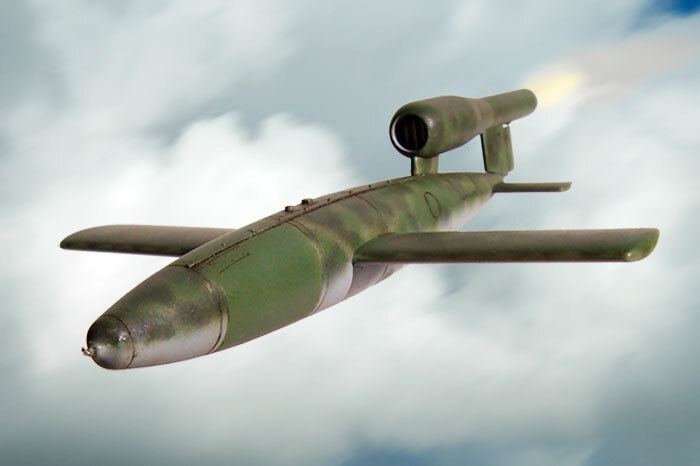 I decided instead that the better option was to finish the V-1 kit I had before he finished his, and claim equal bragging rights. My Dragon kit came with a Fujimi Spitfire Mk XIV, and like most Dragon kits I’ve built, it touched where it fitted, and fitted where it touched, but was still a very quick build. However it does have a better shape and surface detail than the larger Tamiya kit in my opinion.